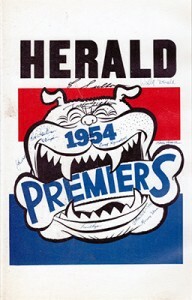 Under an hour or so look at the 1954 Grand Final. 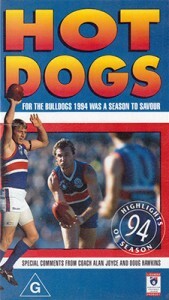 Dealing with the 1989 Footscray Fightback. 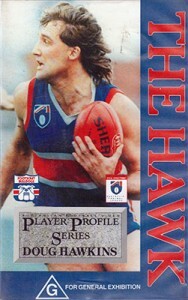 A player profile of Doug Hawkins was made in 1991. 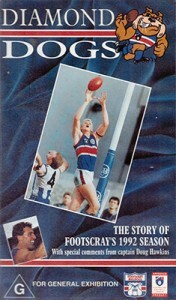 This is a review of our 1992 season. Doug Hawkins taking us through the campaign. Towards the end Doug announces how Chris Grant is a Rolls Royce. This is a review of the 1994 season with Rolls Royce answering the questions. 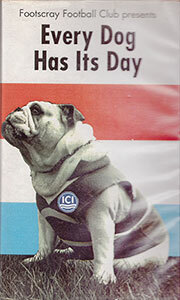 The narration is from Craig Willis. Sadly my video of this is on the blink.